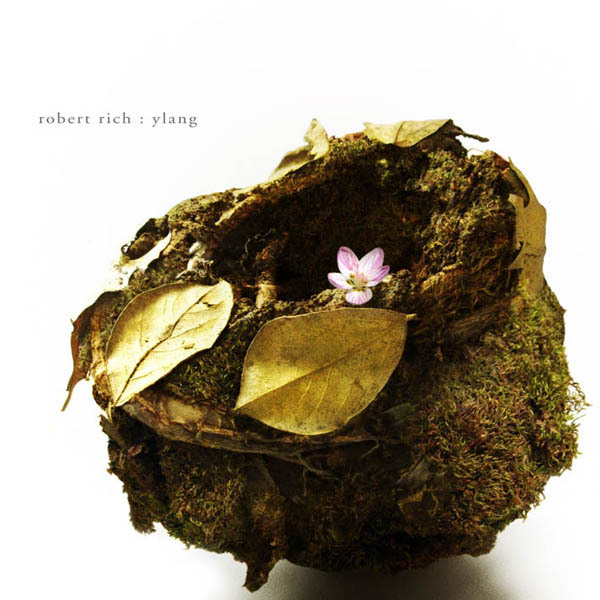 New album from Robert Rich occured to be dedicated to ylang-ylang, a fragrant tropical flower. Specially for listening to this album I bought ylang-ylang insence, just to be in the know. The first track, “Ambergris”, which again denotes a fragrance, begins with some cracklings, distant guitar slides and piano incrustations. Evident is the leading role of drum section – till the end of the “Ylang” they constitute the rythmic side of the work – either traditional drums, or ethnic. I must say, that this album is much more culturological and exploratory in the sense of music; it is very complicated, for different styles and approaches are interlaced here. It’s a real meeting of West and East. For me personally, “Ylang” produces an impression of a sacred travel by means of sonic, figurative and olfactory interferences. Frankly speaking, I didn’t expect such music from Robert Rich, as I got used to his soft continuous drones, but in spite of it, I enjoyed the new material, and I sincerely greet his tendency to complication and enrichment. So, enter Robert Rich’s world of fragrant sounds with “Ylang”. This entry was posted in Uncategorized and tagged ambient, ethnic, Robert Rich. Bookmark the permalink.